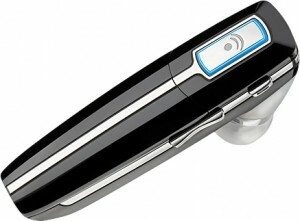 After much coveting of this unique bluetooth stereo headset, Amazon’s recent price drop has allowed me to purchase it. And I am way impressed. This is a unique headset. It starts as a standard bluetooth earpiece. And for phone calls it does a great job. It has adaptive noise reduction and multipoint technology to connect to multiple phones. 7 hours of talk time and 160 hours of standby. Where this product shines is its ability to stream audio via the A2DP protocol. 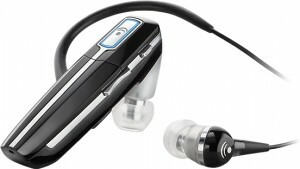 When connected to my iPhone 3GS, I can listen to podcasts and music through the single earpiece. This is extremely convenient when you want to keep an open ear to hear your environment. But it gets better. Attach the secondary earbud, drape the light, cloth cable around the back of your neck and you’ve converted this earpiece into a full stereo headset. There is a fit kit with 3 sizes of earpieces. For me, the medium gels fit great and provide good sound isolation. Since the secondary earbud and cable are so light, you can pop it out temporarily to hear your environment. While this isn’t a full review, it covers the highlights. Here comes the pros and cons. That’s it for now. If you have any questions, leave a comment.